Outside: Premium Natural Vegetable Bridge Leather. Two internal bill compartments measures 15cm x 7cm - 5.8" x 2.7"
No Mass production, Just one case at a time. 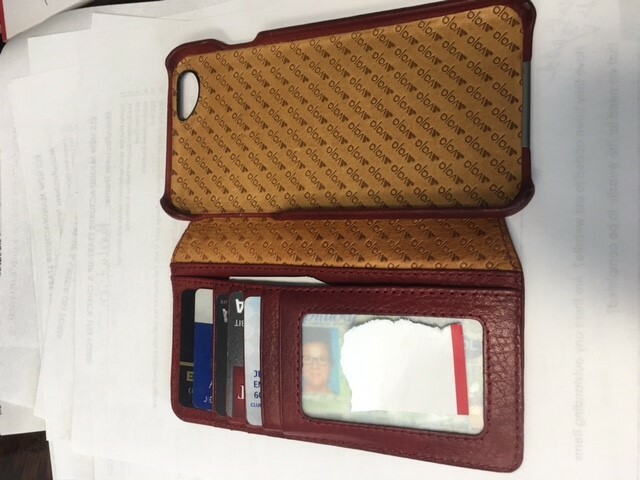 A slim leather wallet and a beautiful iPhone 6 Plus/6s Plus leather case. It's the best of both worlds. Introducing the Wallet Agenda, our classic Agenda design with additional credit card slots and a dedicated bill compartment. Perfect for those who want to keep everything conveniently organized in one place. It’s the only thing you need to take with you when you go out - only one item to keep your eyes on. All your items in one place, just One for All. Soft and sleek to look at and feel, inside and outside. Enveloping all of your senses with that unmistakable, delicious smell of premium Bridge leather. The perfect compliment to your new iPhone 6/6s Plus, with a bit of extra space too. Every Vaja iPhone 6 Plus/6s Plus leather case is produced inside of our factory near the South Pole. No overseas mass production, ever. Just an incredible team of skilled craftsmen using ancient techniques combined with state-of-the-art technology. Handcrafted precision - that’s what Vaja is all about. This is either my 3rd or 4th Vaja IPhone case. Nothing else compares to Vaja phone cases. They are so elegant and sturdy and my newest one has room for my credit cards and I.D. so I don't even carry a purse in many instances. I'm asked frequently about it as everyone finds them very attractive. Leather is soft, flexible and lasts for years. I bought my first Vaja Wallet in brown 4 years ago in brown. Changed to a navy blue color since the plastic in the photo ID ripped. I recommend Vaja leather cases 100%!!! I've had my Vaja phone case for a month. I absolutely love it. The leather in only a month is soft and conforms to the phone. I love the cover for privacy when my phone rings or a message is sent. I highly recommend this product. Great service, great product. Offers good protection against dropage. Had many compliments on the case.